Are you ready to let your creativity lead the way? 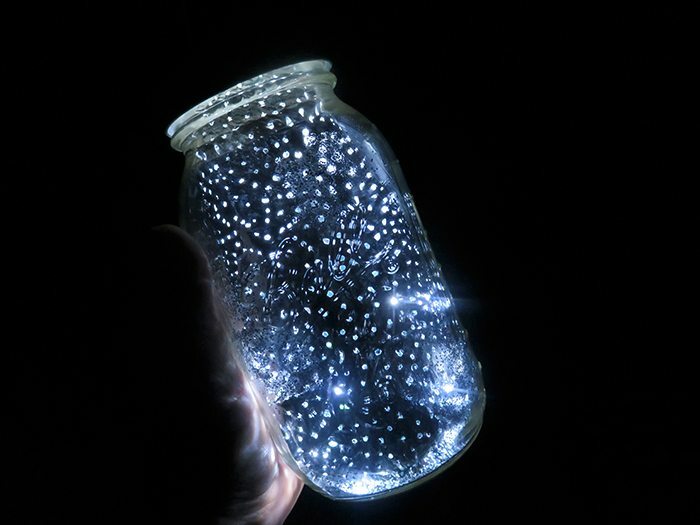 In celebration of the release of Creative Galaxy season 2, I’m sharing this easy 10 Minute Light Up Galaxy in a Jar. This craftastic Amazon Original Kids series is debuting it’s second season on Friday, September 16. So grab a jar and let’s get the party started! This is a sponsored post about Amazon’s series Creative Galaxy, all opinions are my own. This idea was inspired by Arty in season one. I just fell in the love with the idea instantly. 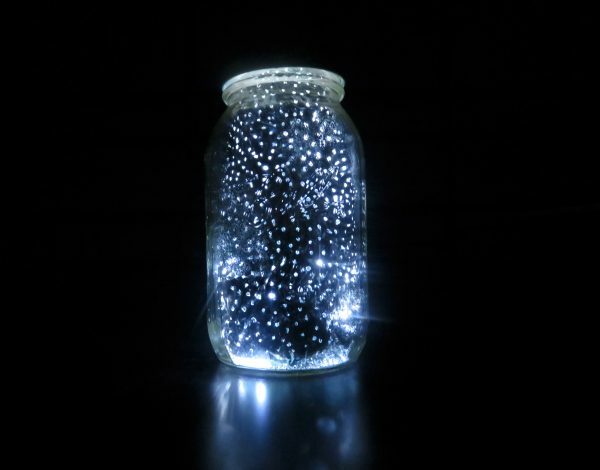 You can literally make a light up galaxy in a jar in just 10 minutes and best of all it doesn’t include glow in the dark paint. 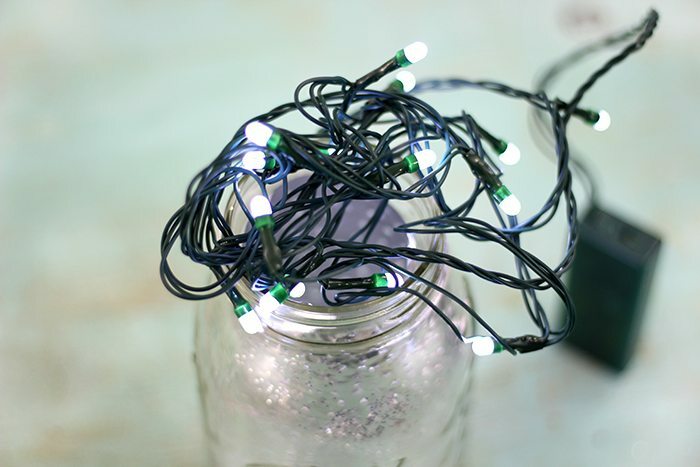 To get the basic jar made, you’ll just need a clear jar (like a mason jar), piece of heavy duty foil and an LED/battery operated light source like these tap lights or any that you have on hand. I happened to have a string of LED lights, so I used those. 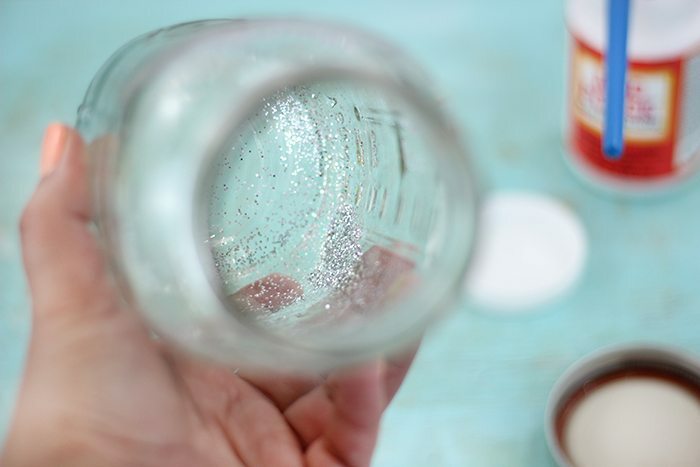 For a little extra frill, but totally optional: add glitter to the inside of the jar. I did this by making a few strokes randomly with Modge Podge and using that to get the glitter to stick. Roll the jar around to distribute. The glitter is just an extra way to make the jar look nicer in the day time. You can’t really see it when it’s dark. To make the jar, you’ll need a piece of heavy duty foil trimmed to size. You can do this by putting in the jar and working with it, then just trim off the excess. The piece will be pretty small. Next up, the fun part! 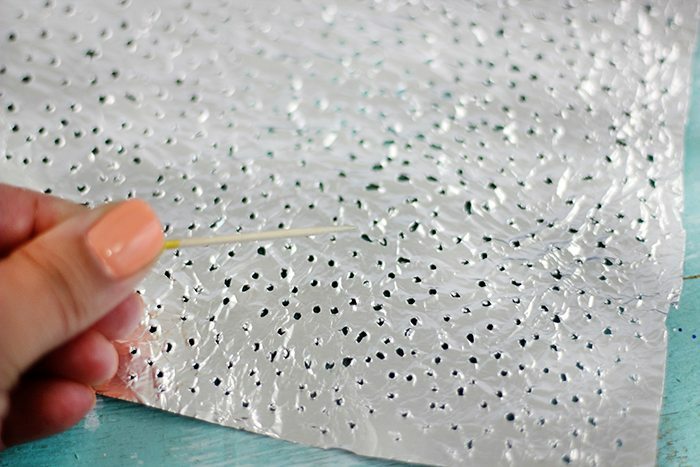 Use a toothpick to create little holes over the entire piece of foil. I liked to do this randomly and without a pattern. 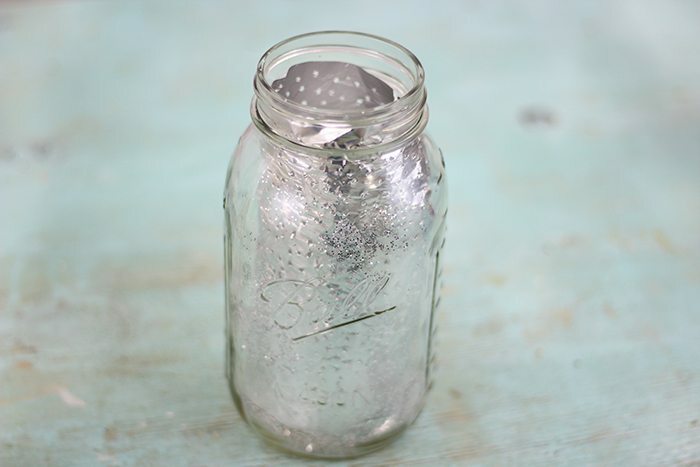 Once you’re foil is all “starred” up, simply place it in your jar. Use a straw or spoon to press it down and make it even. 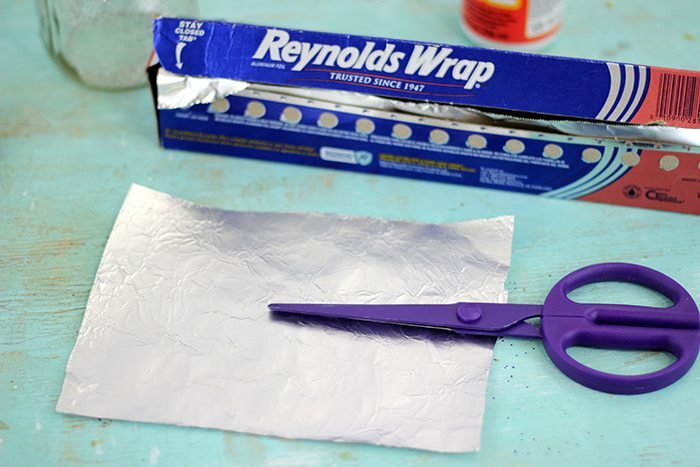 Just make sure not to use a sharp object or anything that can rip the foil. Last step! You just add your LED light source and you are literally good to go. The final result is just too cool! Kids can use this as a fun night light or just for some fun at night. The light peeps out of all of the little holes we made. Awesome, mess free fun in a jar! Creative Galaxy is available only on Amazon Prime. It’s free for members to watch! If you aren’t an Amazon Prime member, you can receive a 30 day free trial here. Check it out and let me know what you think! Save the date, season 2 will be out on Friday, September 16! Who would love to watch this in your family? How cool. I can't wait to make this with my kids. This is so cute! I don't even have kids and I want to make this for myself. I can picture these on patios! Such a cute DIY! I can't wait to try it! I think my son would love to help with me with this one! What a fun activity! I'm so going to do this with the kids on our next camping trip. They'll love it. I think my boys and I will be making these this weekend. I love the idea! My kids would love this activity! They LOVE Creative Galaxy! This is so cool! I feel like it would also go very well with a science lesson for my little ones. We will have to do this! This is such an awesome idea! My boys would love this as a night light! THIS IS AMAZING!!!!!! 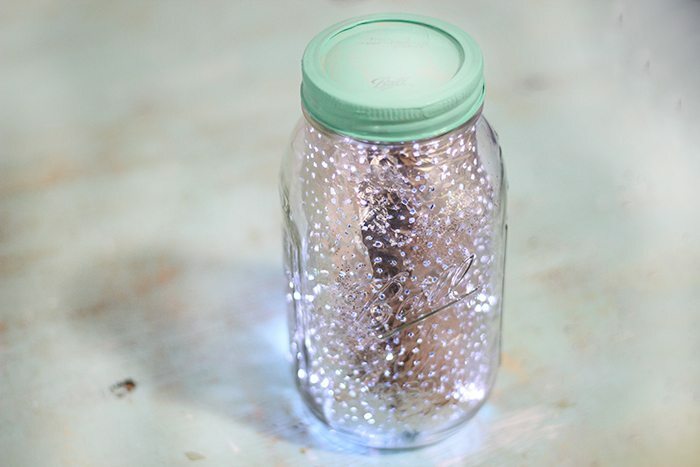 I am going to make these with the kids as night lights! I can't wait to recreate this with my son at home! 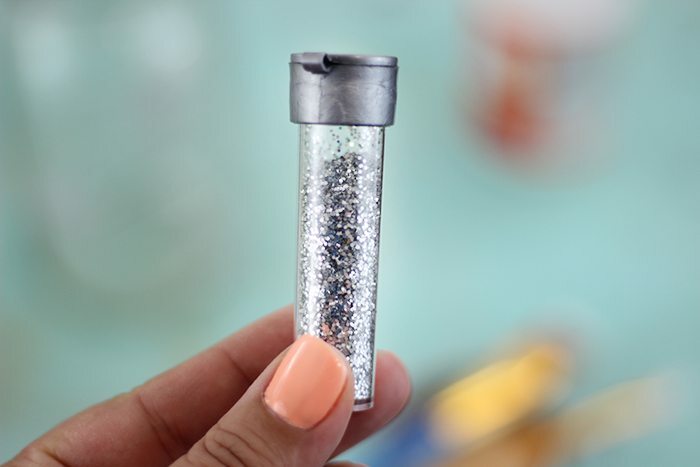 Such a cool DIY activity that will wow so many kids and make science so incredibly fun and accessible! And this Amazon show looks amazing. This is by far the coolest thing ever!! Im going to try it out. I am excited to watch season 2 of Creative Galaxy. This is a great craft to do for my Daughters bedroom night light. Creative Galaxy sounds like a great show. I will have to try making this on the weekend with my girls. I love how cute it looks. This is very cool and I love that it's not messy to make. My son would have so much fun with this come bed time. I need to make this for my kids. They are studying astronomy. Whoa! This looks like such a fun DIY! My nieces would have a blast helping me out with this and not to mention, they'll love how shiny and bright it is. These look so neat. This would be a fun project to do with my daughters. They'll love it! I'd even leave some in their rooms for at night. What a fun craft to do and so easy too. This would definitely beat any boredom being suffered. I cannot wait to try this! I know how much my son would absolutely love this. So easy to make to and I like that a lot. This is probably the coolest and easiest DIY I have seen in a while. I love that I have all the stuff on hand too! Time to put my kids to work!